Miami is the ambitious and glamorous wild child of the The United States. Famed for its seductive nightlife and with a large portion of its 5.5 million population deeply rooted in Spanish culture, it is a major international entertainment and cultural destination. 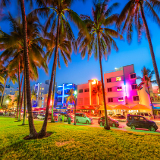 Attractions include the pulsating South Beach esplanade, cultural village of Little Haiti and the colourful walls of Wynwood. Cheap flights to Miami mean you have more to spend on experiencing the hypnotic powers of The Magic City. Miami International Airport (MIA) is an easy 9 minute drive to Downtown Miami and is one of the busiest international airports in the world. British Airways, Delta and Virgin Atlantic are just a few of the airlines it serves. Popular international flights to Miami depart from Cape Town and Johannesburg. Flight duration from Johannesburg is approximately 21 hours. Spanish influences are deeply laced into the city. Explore authentic Cuban theatres and museums in Little Havana or lose yourself in music stores and art galleries in Little Haiti. From one of the best nudist beaches in the world, to a party beach that has become iconic, postcard beaches abound. Velveteen coastlines beckon, begging to be explored. Hedonistic havens, thumping nightclubs, sultry Latin dance clubs, plush jazz joints and world class gay bars, the nightlife is abundant and arguably the best in the world. Tropical weather lingers over the city all year round thanks to the warm currents of the Gulf Stream that stroke the coastline. Winter and early spring see the city bursting at the seams with holiday goers and events such as the Calle Ocho Festival and Miami Carnival. However, with it comes higher prices and large crowds. Temperatures rise and rainfall descends upon the city during the summer and autumn months, but the crowds become thinner and prices drop. Music and the arts also experience a resurgence, with food festivals such as Taste of the Caribbean and South Beach Seafood Festival tantalising the taste buds and the Falls Festival of the Arts and Italian Film Festival indulging the mind. Miami is a place where ambition, glamour and wild desires come together. Tucked between the concrete skyscrapers of downtown Miami, cultural hubs breathe life into the city, never allowing it to stray too far into hedonistic desire and reckless abandon. 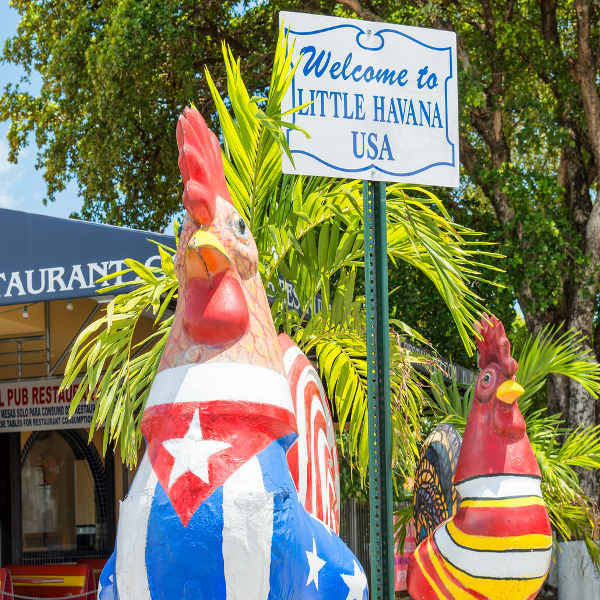 Little Havana and Little Haiti keep the spirit of this predominantly Spanish-speaking city alive. The kaleidoscope streets of the Art Deco district in South Beach come alive as soon as the sun disappears below the horizon. Party goers emerge in tailored shirts and crimson heels, deliciously beautiful and eager to lose themselves in the vibrant nightlife. To the west, an entirely different world beckons. 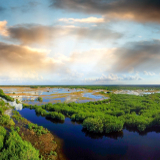 The expansive emerald everglades shimmer beneath the balmy skies. Lurking between the reeds and wild tangles, lazy alligators and other curious wildlife. Miami is a patchwork of architectural artistry, charming cultures and beautiful people. It is a city of desire and spine-tingling magic. Compare several flights and book cheap flights online with Travelstart! South African passport holders do require a visa to travel to North America. The purpose of your trip will determine what type of visa is required under U.S. Immigration Law. In order to qualify for a visa, you will need to meet a number of requirements. You will also need to ensure your passport is valid for six months after your intended return date and that you have three blank pages available for entry stamps. Processing can also be a lengthy process, so it is advisable to leave considerable time for this. Visas can be organised via the US Consulate General in Cape Town, Durban, or Johannesburg. Cape Town - 2 Reddam Ave, Steenberg, 7945. Durban - 303 Dr Pixley Kaseme St, Durban Central, 4001. Johannesburg - 1 Sandton Dr, Sandhurst, 2146. See this guide on how to apply for your USA visa. Despite its polished, glamorous façade, Miami is a sprawling metropolis with a large population, so crime does happen. You can avoid becoming a victim of circumstance by taking certain precautions and maintaining vigilance at all times. Travel insurance to cover theft and medical expenses is recommended. Pack and carry your own luggage, and keep an eye on it at all times. Be aware of your surroundings, and the people around you. Do not make your personal items such as wallets, cameras and handbags visible targets for theft. 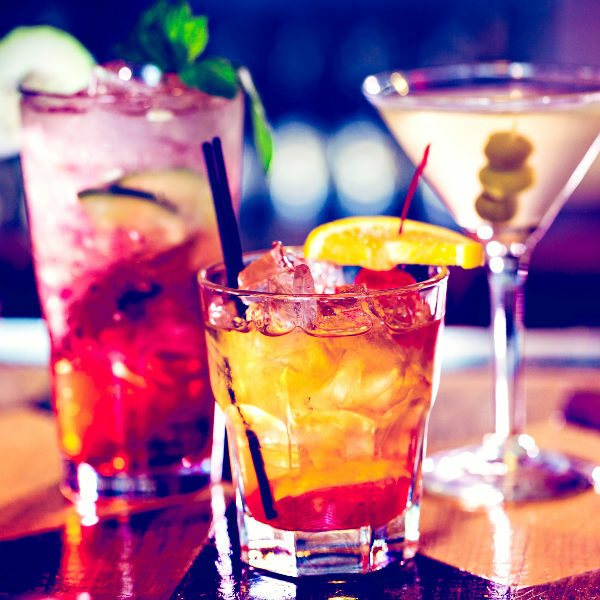 Some experts recommend avoiding Downtown Miami at night as it empties out and can become quite seedy. Keep hydrated and use a good sunscreen during the hotter months, as temperatures can get dangerously hot. Jellyfish frequent the waters along the coast and are notorious for their excruciating stings – watch out for them. During hurricane season, listen to the television or radio for up-to-date emergency information, try to remain indoors, and avoid downed power lines and flooded areas. 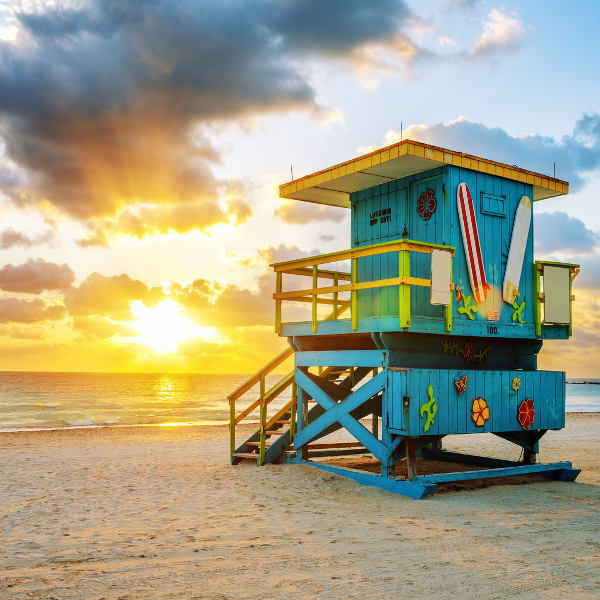 Accommodation in Miami is a scintillating offering of intimate boutique hotels, sprawling beach resorts, trendy holiday inns and delectable luxury hotels. Luxury beach resorts and hotels dominate the coastlines, offering sublime views of the glittering turquoise ocean. Cabanas and beach umbrellas spill out onto the powdery sands and restaurants offer the ultimate spot for sipping on coconut infused cocktails while the sinking sun paints the sky in exquisite hues. Across Biscayne Bay, South Beach offers up a tantalising selection of boutique hotels. Iconic Art Deco architecture lines the streets, seducing travellers with their curious façades and chic interiors. Ideal for guests who want to experience the intoxicating hustle and bustle of Miami. Miami is a large metropolis with numerous methods of transportation that will make it easy to get around and explore every nook and cranny. SuperShuttle is the official airport shuttle for Miami International Airport. Multiple kiosks can be found in the arrivals section of the airport. Their services include 24/7 shared-ride options to or from the airport. Other shuttle services include SAS Transport Service and Go Airport Shuttle. For travellers wanting freedom, a number of car rental companies operate within the city. However, congestion can become frustrating and petrol expensive. Other options include: bike and scooter hire, Uber and other taxi services, local and inter-city trains and a hop on trolley service that offers a particularly fun way to explore the city.